It was a sprint to the canyons as Day Two dawned at the 2018 MidAtlantic tournament and 146 of the 157 boats in sportfishing’s “Main Event” including 61 from Cape May and 85 from Ocean City gave it a go today. With a majority of the tournament fleet taking a Lay Day on Day One and a marginal weather forecast predicted for Day Three, crews were anxious to get at it today. The billfish bite continued its hot pace of yesterday and there were plenty of big eye tuna to fill the gaps between white marlin and blue marlin bites. Additionally, the dolphin category saw a major shake-up and the first wahoo were weighed and both were impressive. 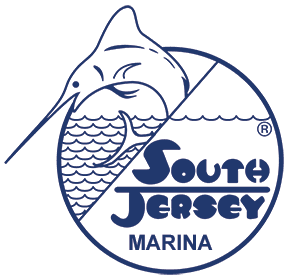 Andrew Hall of Chester, New Jersey aboard his Lucky Linda Jean with Captain Chris Harron at the wheel weighed a 68-pound white marlin and moved into third place. John Phelan’s Special Situation from Palm Beach, Florida and Justin Branning’s 3’s Enough from Wall, New Jersey remain tied for the lead in the category with white marlin of 73-pounds. 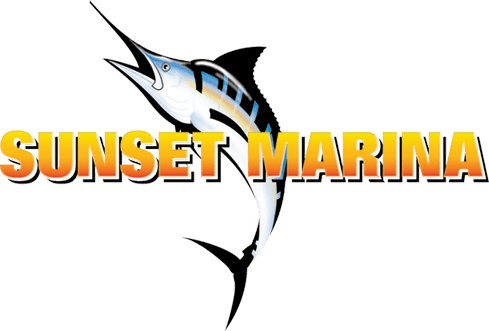 Though numerous blue marlin have been released during the first two days of the tournament none have been weighed and the category remains vacant. In other news today Captain Butch Cox put Ed Dunn of Grasonville, Maryland in the lead of the tuna category after weighing a big eye tuna of 116 pounds on Dunn’s DA Sea. Chad Jackson’s Toddy Time based out of Farmingdale, New York moved into second place today after weighing a 114-pound big eye tuna. 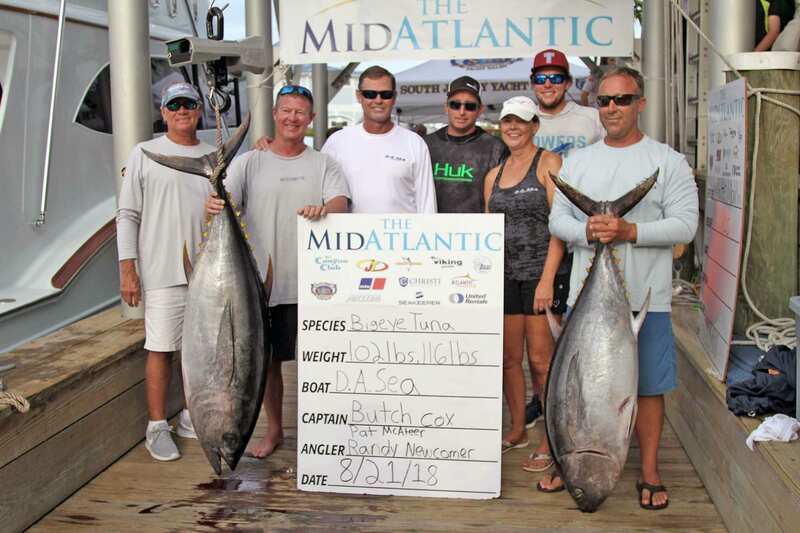 Captain Mark DeBlasio moved into a tie for second place with Blue Runner from Manasquan, New Jersey after weighing five big eye tuna today with the largest weighing 114 pounds. Jim Rodgers’ First Light from Hobe Sound, Florida took over the top spot in the dolphin category today after weighing a 43-pounder. Chuck Weishaar’s The Natural from Hampstead is now in second place with his 33-pounder while Adam Youschak’s Reelin’ Feelin’ based out of Wildwood, New Jersey weighed a 25-pounder and is in third place. The first wahoo were weighed today and Ed Zajdel of Ocean City, Maryland aboard his The Zipper currently leads the category with a 71-pounder for angler Nick Miller. Joe Posillico’s Torta from Farmingdale, New York is in second place with a 46-pounder, also weighed today. Some of the boats with significant billfish releases on Day Two include Joe Drosey’s Rhonda’s Osprey with two blue marlin and three white marlin released while Michael Savino’s Texas Tea and John League’s Espadon each released a blue marlin and two white marlin. Bucky Morris’ Major Motion released a blue marlin and a white marlin. John Conrad’s Gret’s 3 J’s released a blue marlin. 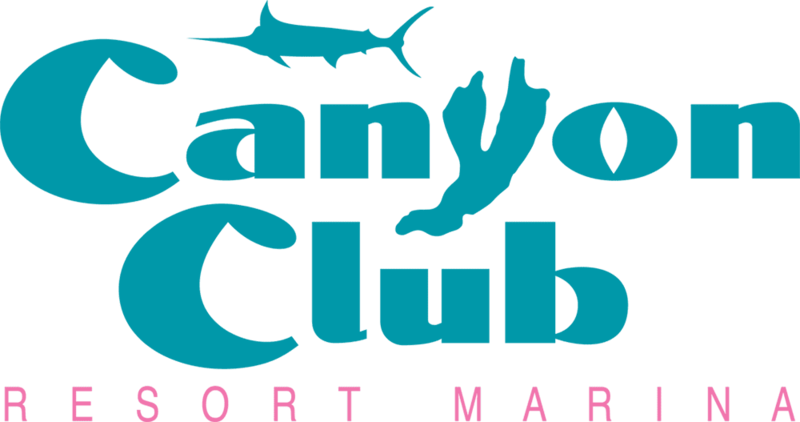 Jamie Diller’s Canyon Lady released eight white marlin while Gary Stann’s buckshot and William Haugland’s Lights Out each released seven white marlin. Michael Rich’s Business and Big Oil each released six white marlin today.